To many of us who live on the San Francisco Peninsula, horses are not all that familiar. We see them at a distance, as we’re driving in the hills or along Page Mill Road, and we may wonder how they got there. Who’s the owner? Are these horses cared for and ridden? Does anyone watch over them? 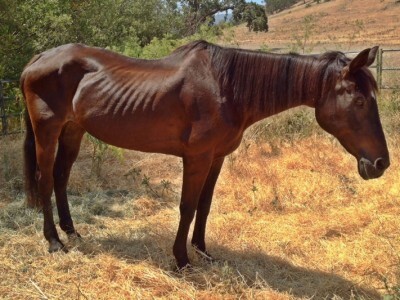 On May 31, Palo Alto Animal Services (PAAS) received a call about a starving horse who had apparently been abandoned at a public horse ring in Los Altos Hills. When Animal Control Officers William Warrior and Cody Macartney saw the horse, they knew she was in poor condition. 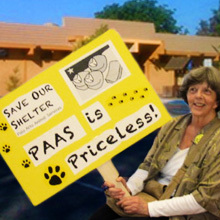 She needed the care and protection of PAAS, and for starters they gave her a new name: Jasmine! The rest of this story illustrates how civic agencies, nonprofits, and generous animal lovers can work together to rescue a neglected horse. Officers Warrior and Macartney trailered Jasmine to Page Mill Pastures, a safe, comfortable stable in Los Altos. 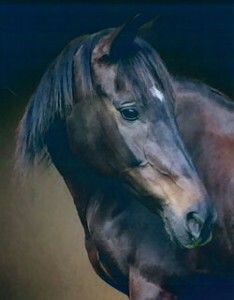 Concerned about the cost of stabling Jasmine, Connie Urbanski, Superintendent of PAAS, contacted Maddie’s Fund to ask for financial aid. Joey Bloomfield of Maddie’s Fund promptly agreed to pay the fees for Page Mill Pastures where Jasmine could recover. Veterinarians Bonnie Yoffe, of PAAS, and Sinead Divine, from Peninsula Equine Medical Center, examined Jasmine and ran standard blood tests, which came back normal. 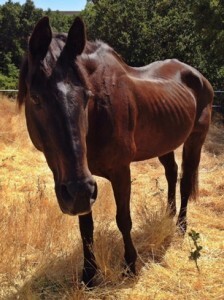 On a body condition scale (BCS) of 1 through 5, where 1 means a horse is emaciated, they gave Jasmine a score of 1. Her problem was lack of food. The veterinarians determined that Jasmine is about 25 years old. After 7 days on “stray” hold, Jasmine was given vaccinations, treatment for abscesses on her feet, a set of new shoes, and lots of love from a great team of helpers at Page Mill Pastures, including Giselle Turchet and Susan Anderson. 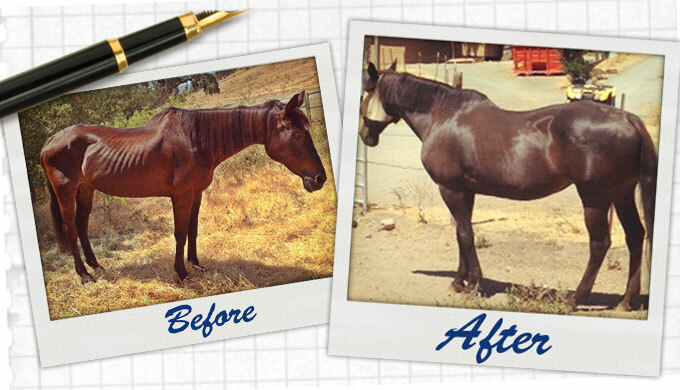 In just two months at Page Mill Pastures, with regular feeding and veterinary care, Jasmine has blossomed into the sleek, beautiful mare she always was. Even better, a person with love to give and space for a horse adopted Jasmine as a companion animal. Reports are that she’s happy and quite social in her new home—friendly with visitors and stretching her head over the fence for petting. Her owner considers her to be retired. No more trail rides or racing, no more saddle or bridle. Just relaxing, grazing, and spending time with her new forever family! Then be aware of the specialized care and tools required to maintain a horse’s health and happiness. Both my husband and I agree with Larry, Giselle is an amazing woman and truly cares about the animals. Thanks to her, Jasmine came to a wonderful place where she could recover with lots of care and love! Dr. Gary Haynes was generous as well and donated his dental services for Jasmine. Her teeth were worn down and needed work. Dr. Haynes was so kind and even checked in on her to see how she was doing. Thanks to the kindness and love of so many people Jasmine is very happy mare! In a world of major equestrian centers and training farms Page Mill Pastures demonstrates the value and need of a community type facility. This is accentuated by the fact the owner, Giselle Turchet is a passionate horse and facility owner, which in turn attracts the same qualities in the boarders / trainers that utilize Page Mill Pastures. All involved should be commended for their efforts with Jasmine! I was one of the several boarders who welcomed Jasmine to Pagemill Pastures that last day in May. I came up with the idea to name her a princess name because she came to us in a purple halter and purple is the color of royalty, and she deserved to be treated as royalty after what she had already been through. Susan and Avi Avivi, her new owners, and Gisselle Turchet (the manager of Pagemill Pastures) have transformed this neglected horse into a beautiful mare with a very special personality, and she has shown us all the spirit of redemption and love, and her new owners have, because of her, decided to dedicate themselves to rescuing more horses in the future. May this story encourage us all to look for the needy horse and provide the way of escape for a better life. Thanks for letting us know the detail of who gave Jasmine her name. I wrote the article with a rough outline of facts (and some great photos). This story really touched me for two reasons: The happy ending for the beautiful mare, Jasmine, and the way so many elements of our local community worked together to save her from the ravages of neglect. Kudos to the staff and boarders at Page Mill Pastures for their generosity. 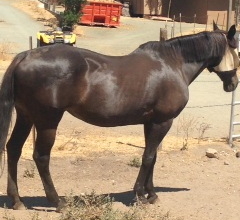 Palo Alto Animal Services is not often called to rescue horses. The shelter’s committed Animal Control Officers are ready to handle all kinds of situations, however, and the entire staff is eager to organize help for any rescue. Examples in the past couple of years: A baby seal caught by currents near a sluice gate, a deer tangled in a fence, ducks & ducklings on city streets, a skunk at the bottom of a window well. All exciting and satisfying. Even so, Jasmine is a really special case, and the photo of her beautiful head adorns a wall at the shelter.